Digital marketing has been the talk of the town for quite some time now. The use of internet and social media to analyze marketing trends have indeed given digital marketing an edge over the traditional marketing. According to International Telecommunications Union (ITU) report, as of 2016, out of 3.2 billion internet users, 2 billion users live in developing countries. This creates a significant opportunity for the digital marketers to introduce and promote their brands on the digital platform and tap the enormous potential that the internet provides in these developing countries. The economy of the digital marketing is exponentially growing at ten times faster rate than the traditional economy. Thanks to the internet, people have started bidding farewell to the conventional methods of procuring data and are seeking data and services available on the internet to save themselves the unnecessary hassle of going through newspapers and magazines. WHY IS THE DEMAND FOR DIGITAL MARKETING GROWING? There are several reasons associated with the growth in demand for digital marketing. One of the factors can be the know-it-all nature of the internet. There is internet for virtually everything, from availing cabs to booking hotels, buying clothes to purchasing vegetables, ordering food to calling paramedics, everything is now possible with the internet. The rise of digital marketing has made availing all these services relatively easy and less time-consuming. WHAT IS IN IT FOR DIGITAL MARKETERS? Opportunity! This mono word response provides the best answer to the above question. What better than hitting millions of customers at one go at one spot!! It offers the digital marketers the chance to reach more than one customer at a time and fulfill their needs efficiently without much effort. All that it requires is a reliable and active online presence which can influence the users and serve them well. Moreover, digital marketing makes tracking the result of their advertisement campaigns relatively more straightforward. IS THERE A SCOPE FOR DIGITAL MARKETING IN DEVELOPING COUNTRIES? Going by the current trends, it seems highly unlikely that the demand for digital marketing is going to come down anytime soon. While the developed countries have already adopted this mode of online marketing, the marketing space in developing countries remains mostly unoccupied. Therefore there is a significant scope for digital marketers to make a mark in these countries owing to the following factors. Growing population: Countries with developing economies and massive populations like India, Bangladesh, Brazil, Mexico, Nigeria, etc. can provide a big market for digital marketing. No business can prosper in a region with no population. Therefore, these countries with their growing economies and significant population can contribute to the growth of digital marketing. 2. The absence of competition: Markets in developed countries have reached a saturation point. But markets in developing countries have remained mainly unexplored due to their large populations. Therefore any business in these countries will face minimum competition as compared to their developed counterparts. This will give digital marketing sufficient time to grow in these countries without really having to worry about competition. 3. Government impetus: The local governments in most of the developing countries are framing trade policies favorable to both domestic as well as foreign investors. These incentives include low or no customs and excise duties, profit tax holidays and better ease of doing business. This would motivate investors to put their money in these developing countries and explore the abundant possibilities of digital marketing space in these countries. 4. Growing affluence: Liberalization of economies has worked wonders for the developing countries, people are getting rich and have a better purchasing power now than before. Countries like China, India, and Bangladesh have managed to draw out significant sections of their populations out of poverty and place them in middle-income groups. Therefore, the growing affluence in these countries can provide a considerable boost to the digital marketing prospects in these countries. 5. Availability of cheap production goods: Most developing countries have human and material resources in abundance. But they have remained mostly unutilized. This would give digital marketing companies and businesses an opportunity to harness and exploit these resources. Labour and raw materials are often found to be cheap in developing countries. This is why multinational companies are more marketable in developing countries than their industrialized counterparts. 6. Job creation: As previously mentioned, most of the developing countries have huge populations to take care of. Under such circumstances creating jobs for everyone can be a tough task. Most of these developing countries are facing the issue of jobless growth. Investment in digital marketing in these countries can create new jobs for people. A substantial workforce can thus be diverted towards these jobs which can contribute to resolving the issue of unemployment. 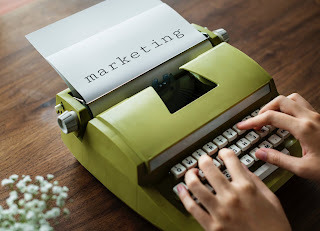 A little encouragement from the local authorities can make digital marketing very popular among the masses and help people connect with it. Despite the vast potential that digital marketing has in developing countries, there are a few challenges to its growth too. Low literacy rate in these developing countries can be a significant hindrance to digital marketing. Digital marketing requires consumers to use the internet and other technologies. Without proper education, people might find using digital marketing quite challenging. Also, the inability of buyers to see, touch or smell commodities can be a downside for the e-commerce industry. Cybercrime is another factor that deters people from using digital marketing as they fear for the privacy of their information. However, the problems mentioned above can be fixed in due course of time. There is no denying the fact that digital marketing has a bright future in developing countries. But it is possible only if various stakeholders come together to create an effective system suitable for digital marketing. Poorly built and ill-implemented programs can create distrust between the consumers and the marketers. Digital marketing and developing countries can contribute to each other’s growth; thus it is a give and take process. Digital marketing has the of scope becoming the solution to the underdevelopment of the developing countries, and the developing countries can take digital marketing to its zenith. Author bio: Hi, I am Sandeep Kumar Mishra, a content writer at SixPL. My hobbies include watching movies, playing cricket, reading and surfing the internet. I like keeping track of the latest social media trends and other digital marketing developments.